Since the acquisition of Novotema SpA by IDEX Corporation in 2015, safety has been one of our top priorities. The IDEX operating model was adopted by Novotema management, with a feature of daily meetings to monitor the safety-performance of over 180 employees. The defined target was zero workplace accidents. One of the key decisions taken was the introduction of a certified system to manage all Novotema employees from a health and safety perspective. This standard is OHSAS18001 (Occupational Health and Assessment Series) – an internationally recognised standard which sets the minimum requirements for achieving best practice. 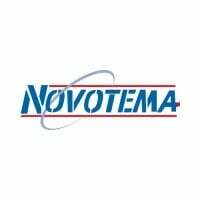 Prior to this standard, Novotema had upheld safety standards using a consultancy company through which we fulfilled all statutory, regulatory and legal requirements. Together with our existing ISO/TS16949, ISO13485 and ISO14001 certifications, we’ve always been passionate about employee safety. Implementation of the OHSAS18001 standard began in early 2016, with significant changes from June onwards in terms of our collective approach to the standard, and the demands required across our departments. The process wasn’t always easy, and there were plenty of challenges along the way. To help the development of the action plan, Novotema management set up a safety committee requiring significant financial resources and a sacrifice of hundreds of hours of production time. But through the collective efforts of all our people, and their flexibility to adapt to new working practices, the OHSAS18001 project was met with great enthusiasm and dedication. With the certification deadline on 31st December and Novotema breaking for the Christmas holidays on 23rd December, the pressure was certainly on to get the business fully prepared for the audit. The certification audit took place from 20-23 December, conducted by a representative of TÜV Rheinland Italia who scrutinised every square metre of the plant. The auditor also investigated our documentation thoroughly to ensure the standard was understood across the business. In the end, the positive outcome was a reward for all our efforts and hard work – and with a zero accidents result for 2016, the learnings are already bearing fruit. The words ‘yesterday, no accident’ will always be said with pride in our daily meetings! So it’s good news all round with our new OHSAS18001 certification – the latest step towards a bright future for Novotema SpA.